Of course I admit that my favorite part of Halloween were the sweets. Dressing up was a second favorite. I’m amazed at the variety of sweets available for Halloween and here is a collection of the most out of the ordinary ones. Chocolate Dipped Krispies by Edible Gifts Plus. 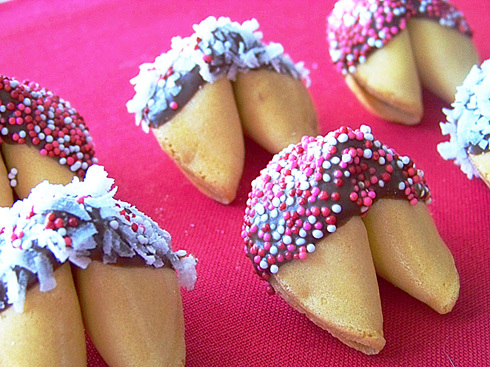 Chocolate Dipped Fortune Cookies by The Gift Basket Store. 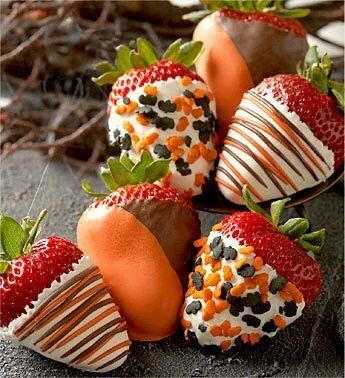 Chocolate Covered Strawberries by 1-800-Flowers. 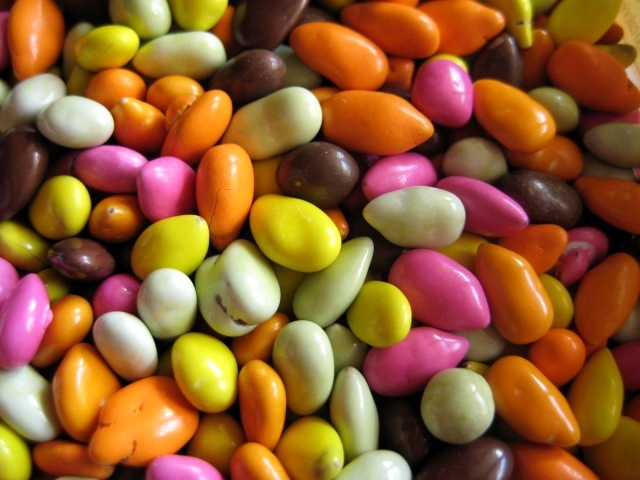 Chocolate Sunflower Seeds by Superior Nut Store.